Announcing Bruce’s Birthday–and The Strange! If you’re one of our Kickstarter backers, or you follow The Strange on Facebook—or are just a generally well-informed gamer—the fact that we’re releasing a new RPG called The Strange in August won’t be much of a surprise. But we thought we’d officially make all the details public today, in honor of The Strange creator and co-designer Bruce Cordell’s birthday! And we’re giving a little gift to you as well–more on that just below. 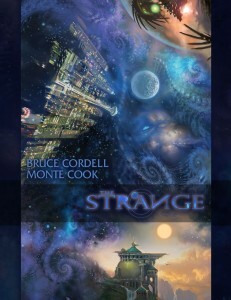 Monte Cook Games is thrilled to announce its next big tabletop roleplaying game: The Strange! Written and designed by Bruce Cordell and Monte Cook, The Strange is a game that crosses multiple worlds, called recursions, which player characters can explore and defend. 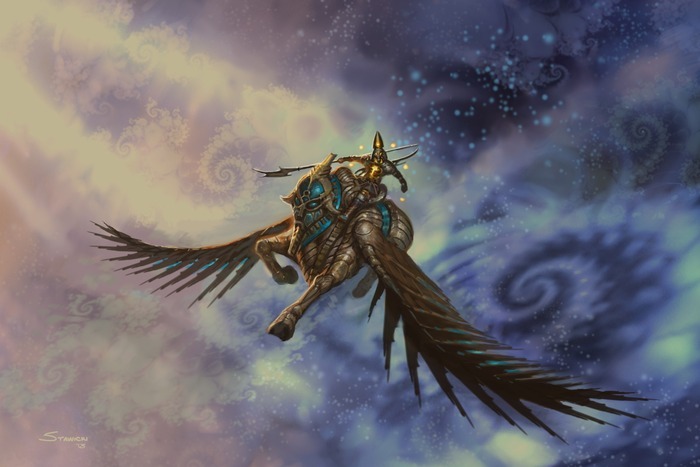 In The Strange, your characters change with each world they travel to, taking on new aspects suited to help them function in that recursion’s unique laws and structures. But dangers found in these recursions threaten not only characters, but also our very own Earth. If characters persevere, however, they can not only save themselves and Earth, they may even gain the ability to create a recursion of their own! If you enjoyed the inspiring scope of games like Planescape, Gamma World, or Numenera, or mind-bending scenarios like Moorcock’s Eternal Champion series, the TV show Fringe, or movies like the Matrix, you’re going to love The Strange. In addition to the corebook, The Strange will launch with the 96-page The Strange Player’s Guide–an inexpensive introductory guide to The Strange that features everything players need to generate characters, learn the basic rules, and get a solid look at the setting. And now, that little gift we promised! To further celebrate Bruce’s birthday, we’re opening pre-orders for The Strange corebook and The Strange Player’s Guide today. If you missed the Kickstarter, we have a pretty good deal for you: Pre-order the print version of the corebook and/or Player’s Guide, and we’ll throw in the PDF of that title for free. This is a limited-time offer, so don’t delay.